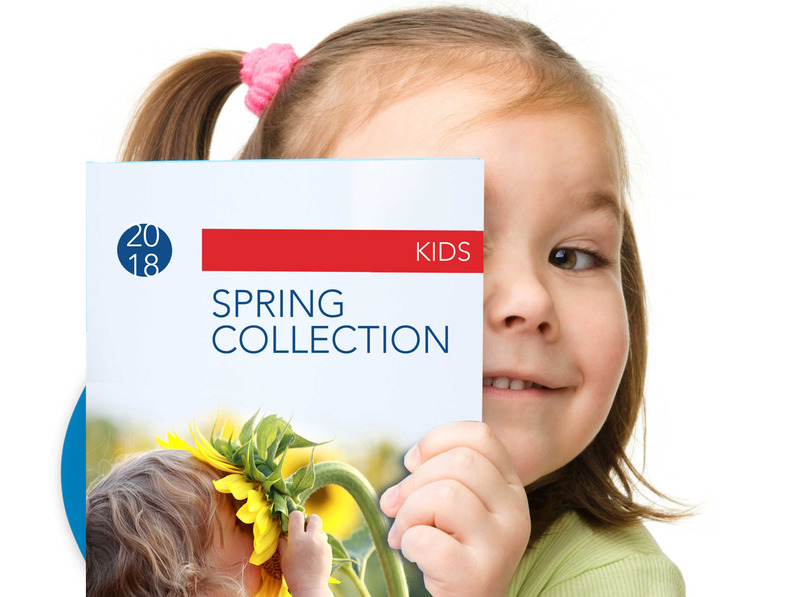 Fashion Brand identity for Kids. 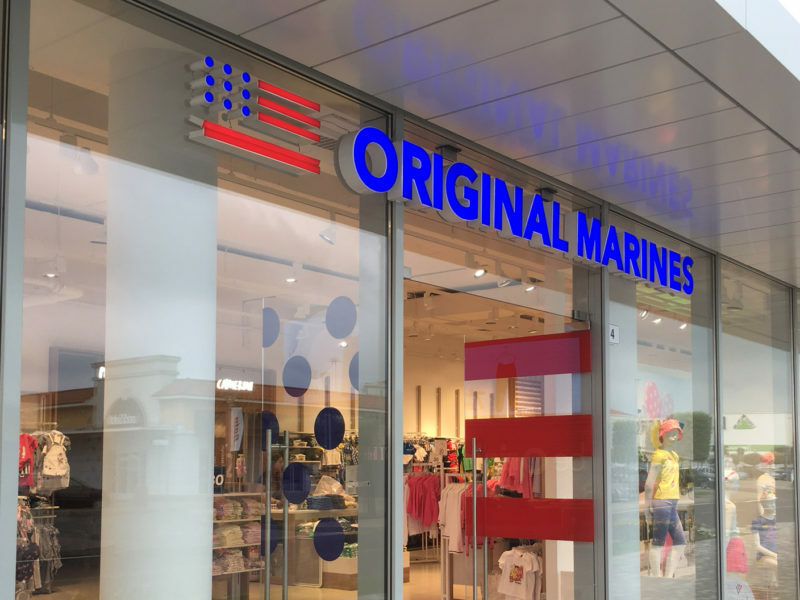 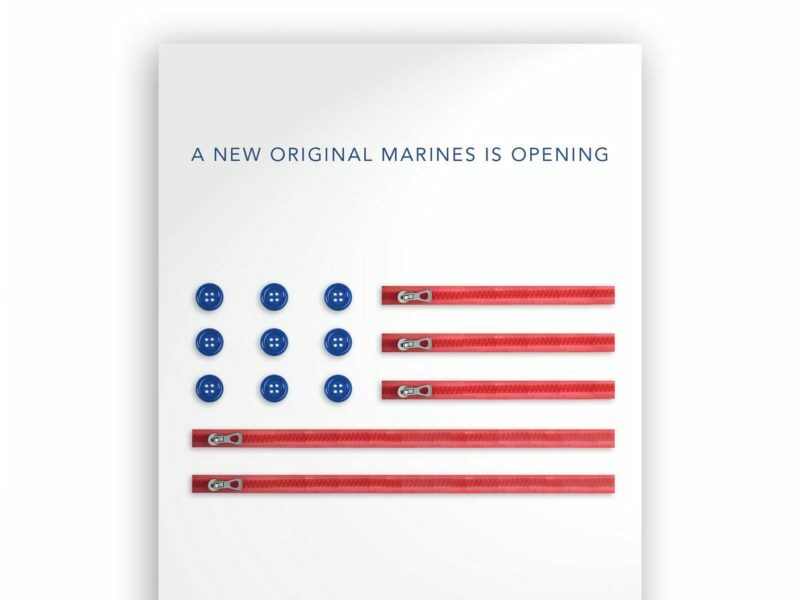 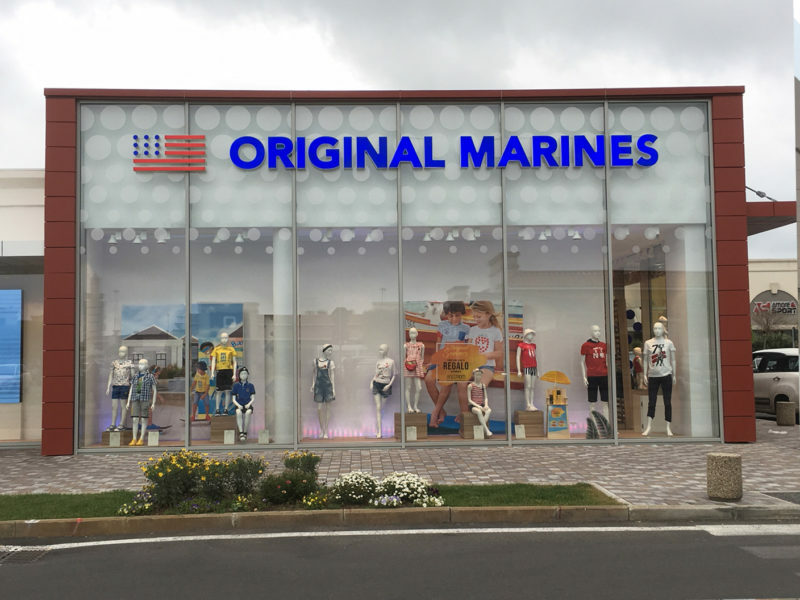 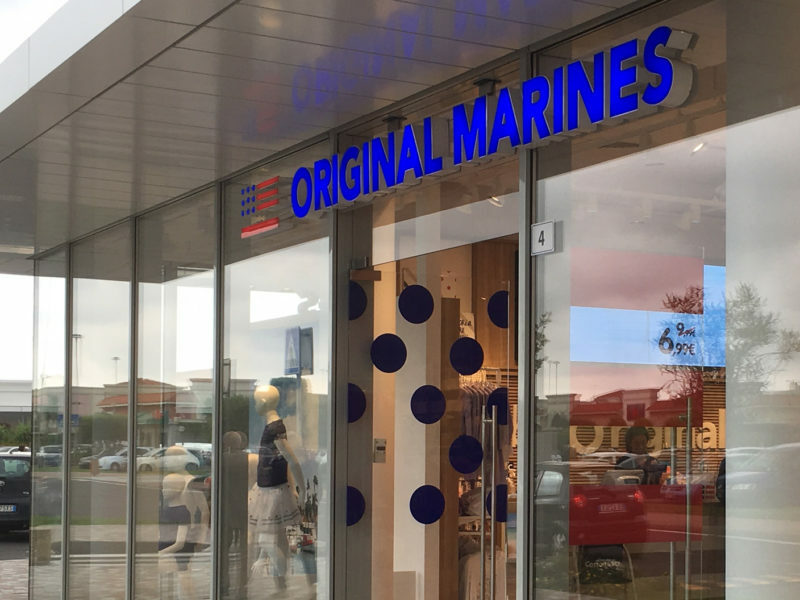 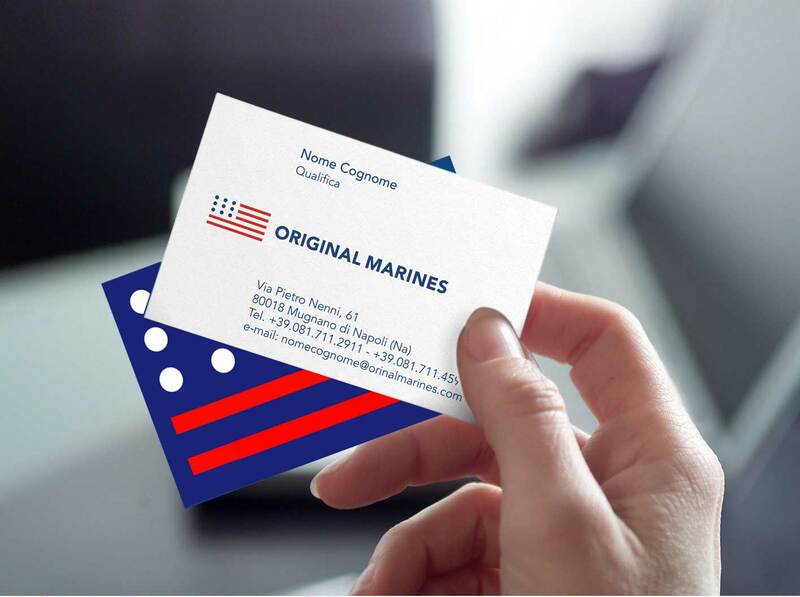 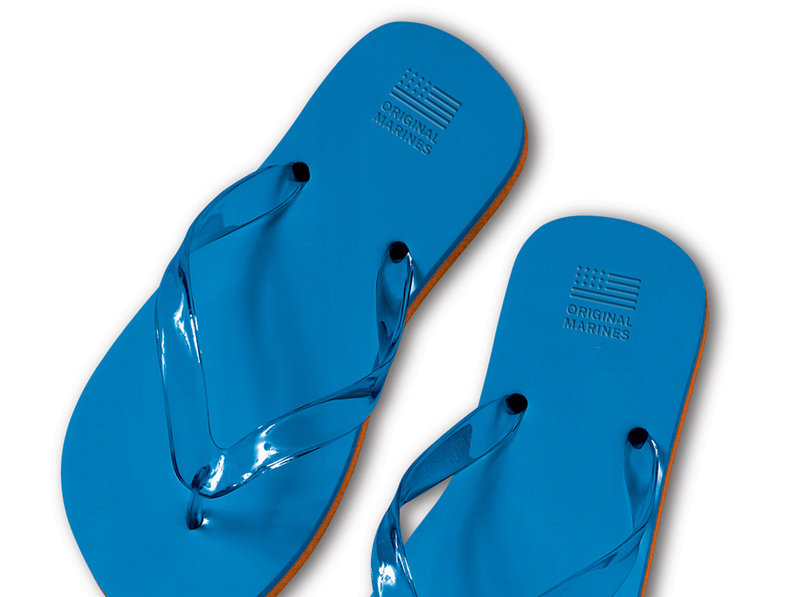 When I met the client of Original Marines the brand has already existed.. 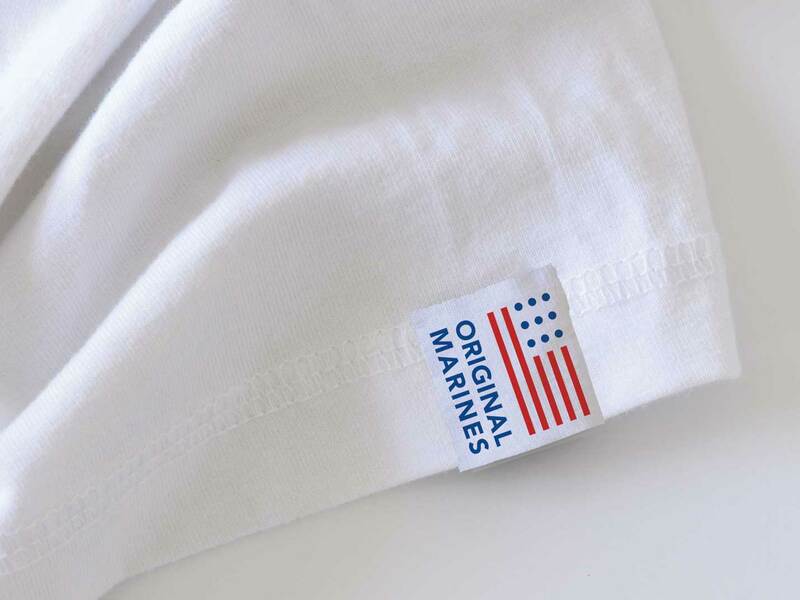 The company was born in the 1985 in Naples and they produced nice white t-shirt. 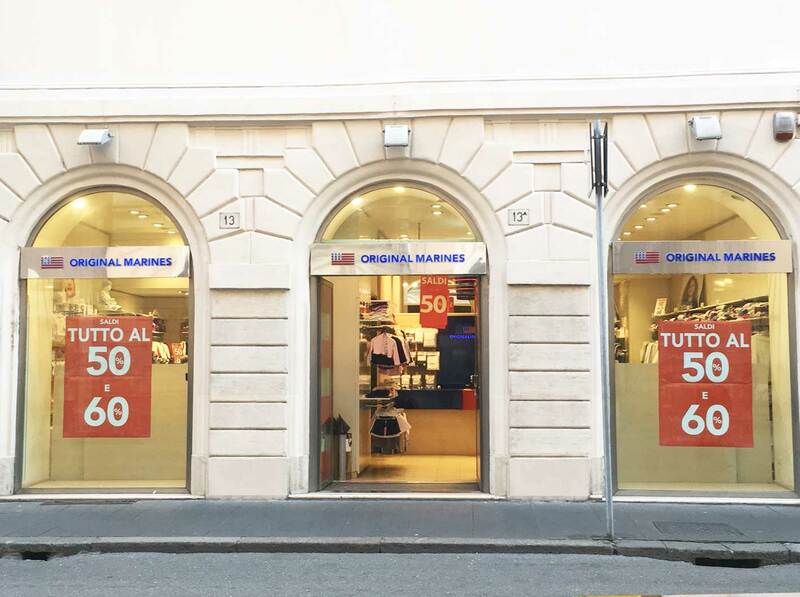 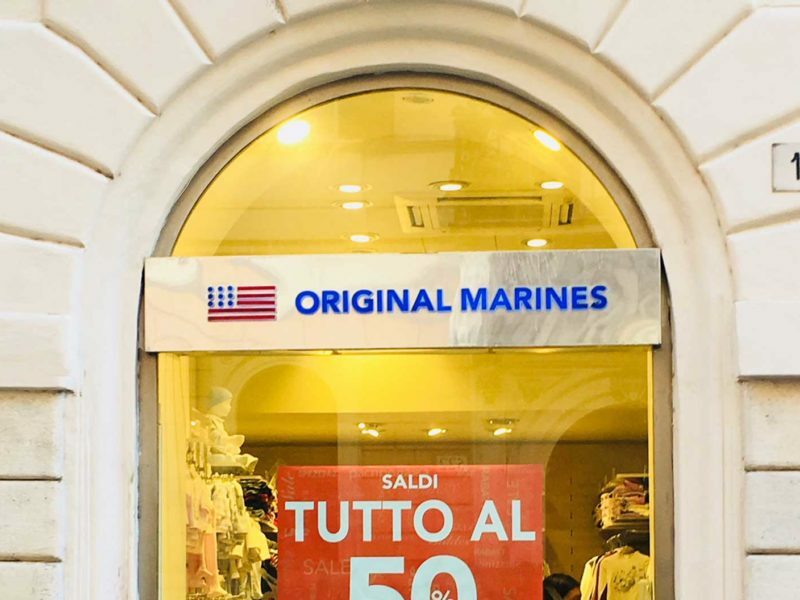 They chose to call Original Marines because in Naples there is a Allied Joint Force Command and the first advertising come out there were american soldiers. 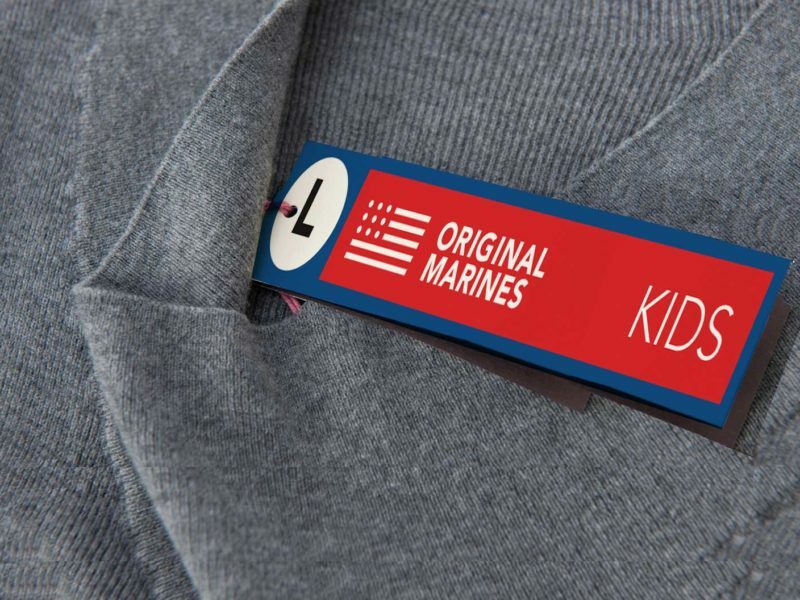 But after many years the company changed, and the y started produce clothes for the kids and decide to change the identity and the brand. During the meeting the client inform me that they didn’t want to change the logo they were very close to this logo. 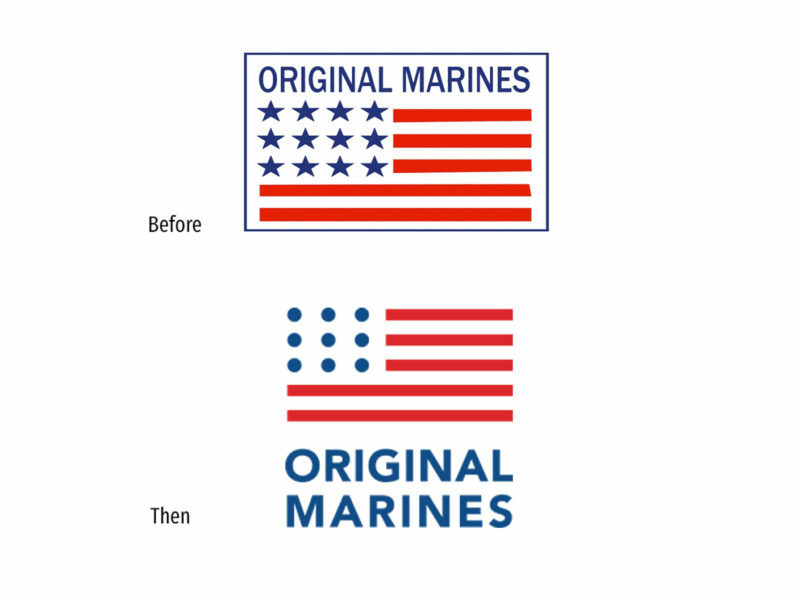 they wanted to do the rebrand and conserve the american flag. My first approach about this brief was to observe and e study the world of babies. 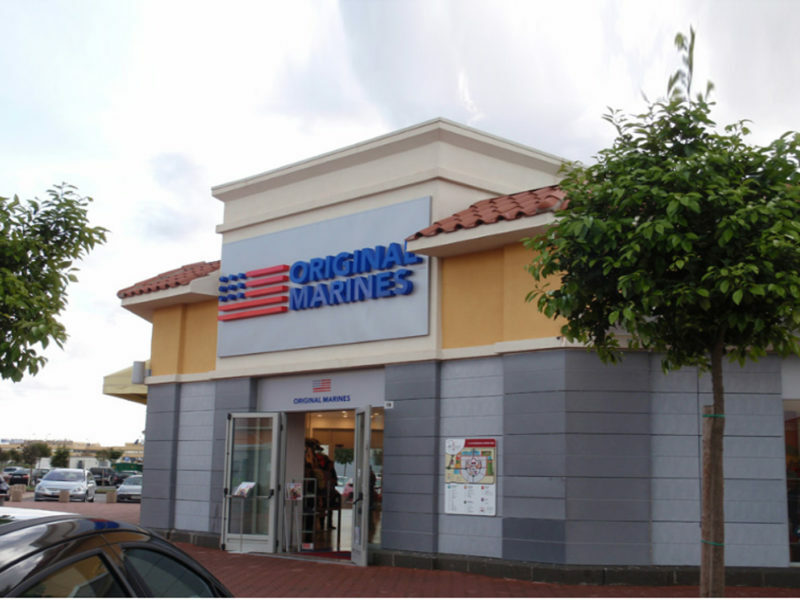 I felt that i had to start from here. 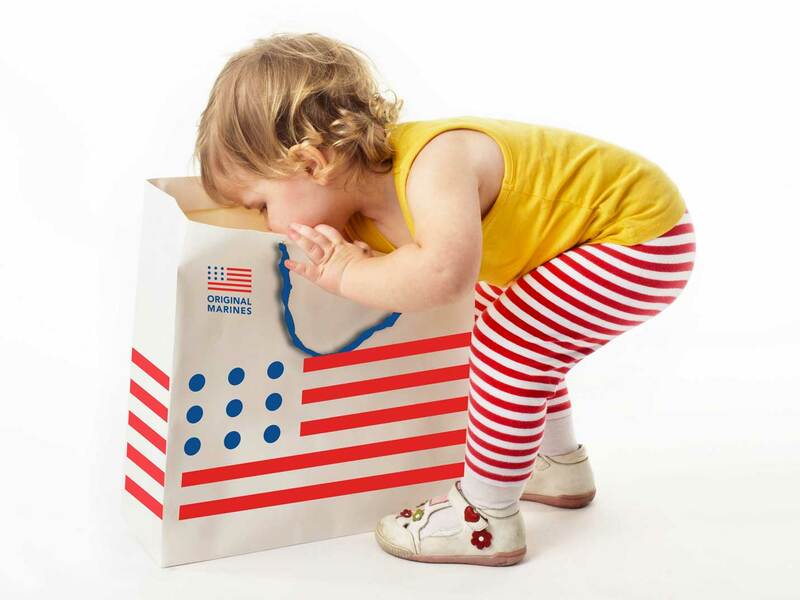 And so i discover the mos t of form in the world of babieswas rounded, circular because have not corners or pointy thing. 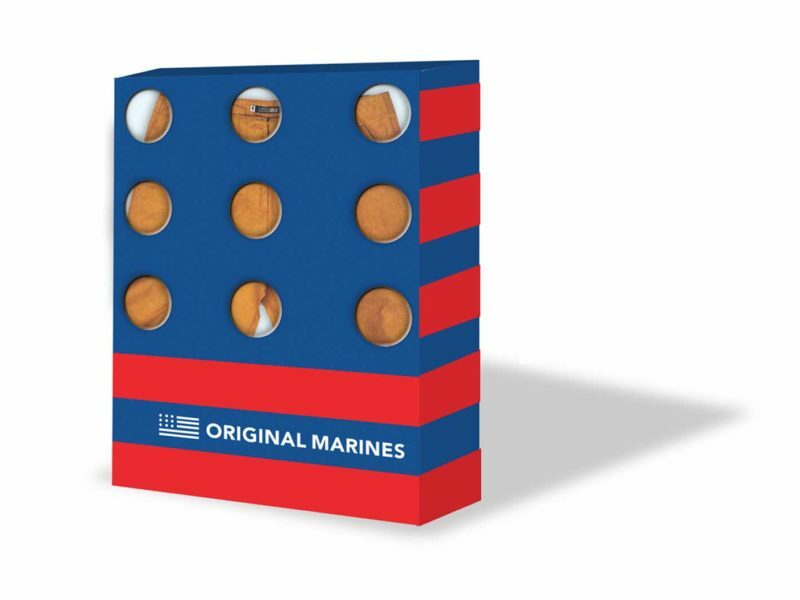 You can think about the ball, and so i thought good idea change the stars of american flag with balls. 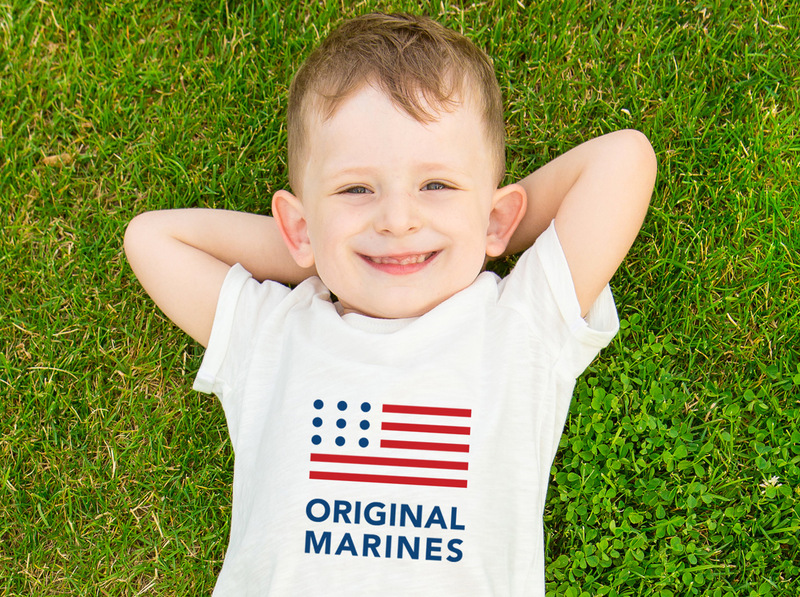 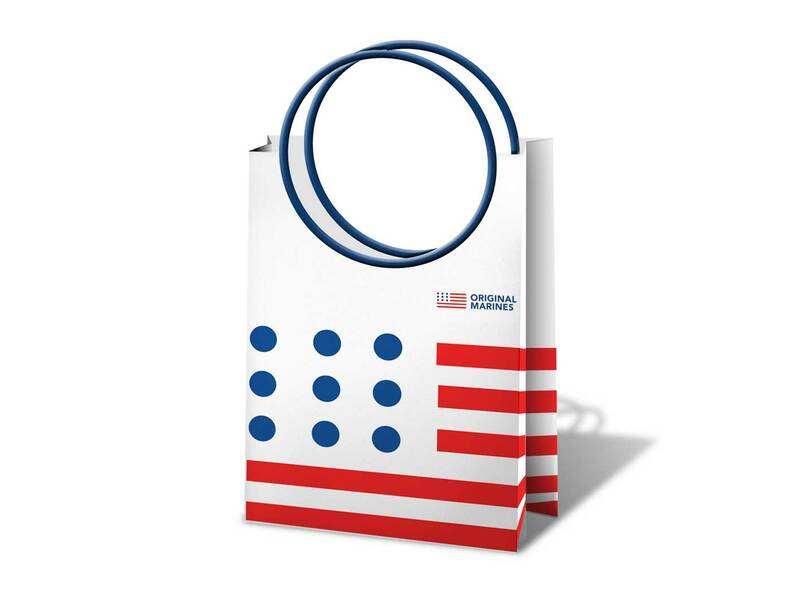 The logo was always the american flag but the mood of logo would become sweeter, softer and closer to the world of children.